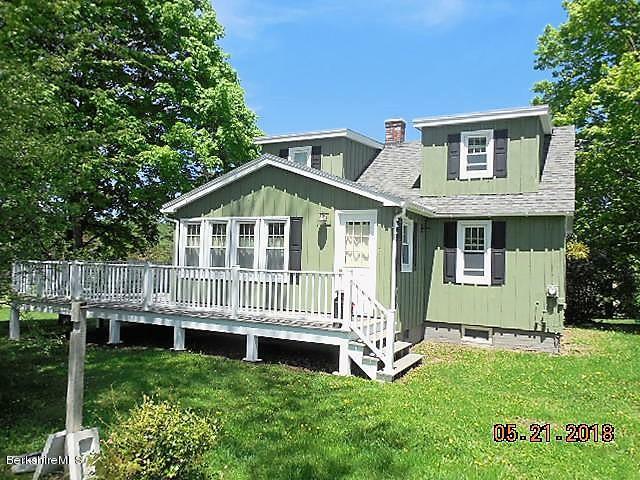 Nice country setting for this New England Farmhouse that has pastoral views and distant mountain views to the east. The master bedroom with a master bath is just a couple of steps up from the main level that has the kitchen dining area living room and full bathroom. Off the master bedroom is a deck with eastern views to enjoy the morning sunrise. The back of the house has a large deck overlooking the field view back yard.